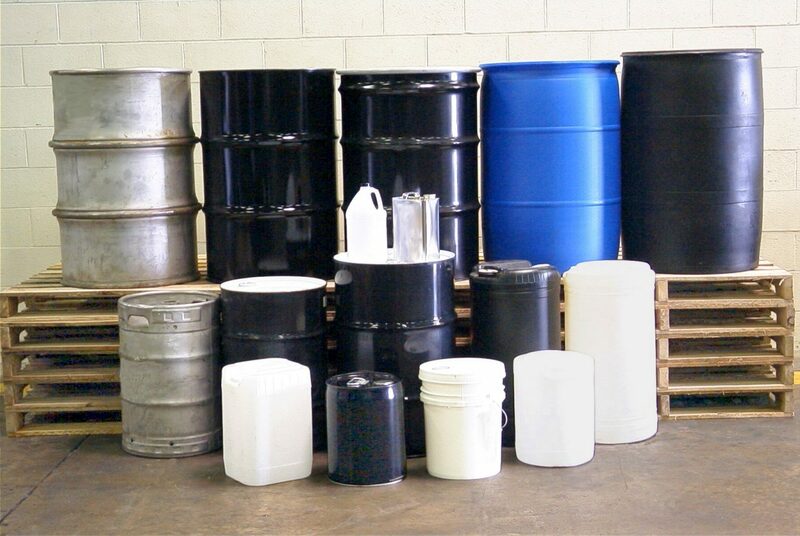 Containers used for storing and transporting chemical substances should be properly disposed of. Potentially hazardous chemicals are most commonly used in laboratory settings but can be used in domestic situations for cleaning. For example, hydrochloric acid is considered a hazardous chemical and is commonly used to clean mineral deposits in pools. Since these chemicals can be dangerous, special precautions should be taken into consideration when disposing of them. If harmful chemicals are not properly discarded and are placed in landfills, they can leak out and seep into ground water, rivers and the sea. The proper disposal of chemical containers will possibly prevent harm to humans and the environment. Identify the type of chemical that was once stored in the container by checking the bottle’s label. In the United States, if the chemical is on the the list of acutely hazardous wastes (see reference), the empty container must not be rinsed out and must be discarded through the chemical waste program. Contact your local municipality for information regarding the program in your town or city. Many cities have this program for hazardous chemicals. Triple rinse the container or bottle with water or a suitable solvent, so that there is no residual substance left in the container if it is not listed as an acutely hazardous waste. If the substance is on the hazardous list, (see reference) catch the rinse in a separate container and dispose of it through the chemical waste program. Reuse the container if possible to collect waste materials if the original container is in good condition. Remove the container’s cap after it has been triple rinsed and allow it to air dry. Write “Empty” on the container label after it has air dried. Thoroughly check the bottle to ensure it is properly cleaned and free of residue after it has dried. If the container is plastic, carefully dispose of it in the regular plastics receptacle and if it is glass, discard in the broken glass receptacle. Only do this if the chemical is not listed on the acutely hazardous chemicals list. Dispose of the container through the chemical waste program if you are unable to remove all of the residual chemical. If a chemical is transferred into a different container, the new one should be properly labeled. This is especially important in households or a work place where several people may have access to the chemical. Proudly powered by WordPress	| Theme: blogeasy by Science Blog.